"Are Aliens Really Evil Angels? Why Did They Take the Book of Enoch Out of the Bible?" I was just wondering if so-called aliens are evil angels from the old times, or where do they fit into God’s plans. I already know they have been here since the beginning of time and they are behind this new world order supporting the devil. I figured out that myself and the people are working for them and cover up lots of stuff in exchange for weapons and greed but in the end they will be the fools. Just wondering if I’m right and why did they take the Book of Enoch out of the Bible—what else are they hiding? They’re trying to fool people into thinking they’re God, but they hold a more insidious agenda. People need to know the truth! Am I right or wrong? 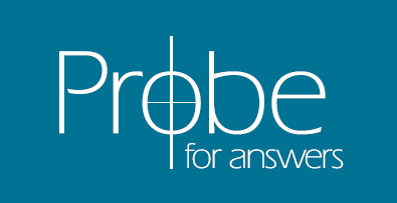 Thanks for writing to Probe. 1. We suggest that aliens actually do not exist, but demons (evil angels) successfully role-play aliens to deceive people. Satan has been a deceiver since he first approached Eve in the Garden of Eden, and the evil angels who rebelled along with him have been deceiving people ever since. Since you are curious about what is true (good for you! ), let me encourage you to read this short answer to the question, “How did the Church Recognize Which Books Were Inspired by God?”.